How long does it take to become fluent in English? Does fluency mean you can speak and write like a native speaker? I’m a native English speaker from London and a qualified English language teacher. I have given English language courses to students from all over the world, and I’ve lived and worked in five countries. I moved to Germany fifteen months ago, and I’ve been to German language courses, used language books and studied online, but my German is definitely not a native level, not even close! However, the simple definition of “fluency” from a dictionary is not very clear. This makes it more difficult to know if we are actually fluent in another language or not. Instead, we need to look at specific descriptions of the English levels of proficiency and fluency. What are the levels of proficiency in English? English language proficiency can be broken into stages from beginner to proficiency, and there are various descriptions of English levels of ability which describe what you are able to do at each level. One of the most well-known systems to measure English levels is the CEFR (Common European Framework of Reference for language learning, teaching and assessment). It divides levels of ability into three main stages (Basic, Independent, Proficient). 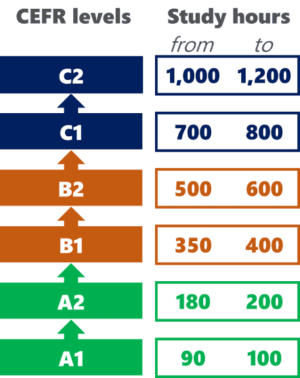 Then, it gives more detailed descriptions across six levels (A1, A2, B1, B2, C1, C2). English level A1 is the beginner level and C2 is the highest level of proficiency. 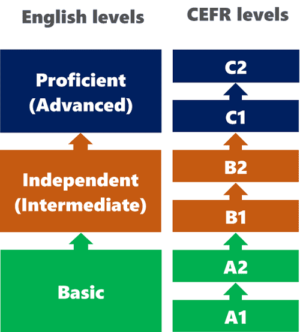 The CEFR has also been fundamental in creating level descriptions for official English proficiency exams, including the IELTS and the Cambridge exams (KEY, PET, FCE, CAE, CPE). What are the levels of fluency in English? English fluency focuses primarily on speaking skills, and here is a summary of the different levels of English fluency. This is based on the information given for each English level in the CEFR. C2 level English speakers can communicate fluently and effortlessly without hesitating and with a natural flow. C1 level English speakers can communicate fluently and spontaneously, almost effortlessly. B2 level English speakers can communicate for longer periods and fairly smoothly, but sometimes hesitates to produce some patterns and expressions. B1 level English speakers can communicate comprehensibly, but finds difficult to continue for longer periods, and there are noticeable errors and pauses. A2 level English speakers can communicate in short situations, although there are hesitations and errors are very noticeable. A1 level English speakers can only communicate in limited scenarios with very short expressions or statements, with many pauses and noticeable errors. So, how long does it take to learn English? 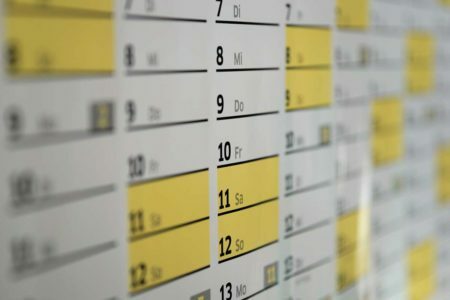 Language specialists have researched the language learning process in detail, and have calculated the number of hours needed to complete each English level. Naturally, some English learners can develop faster than others, but the diagram give the estimated study hours required for each English level. It is definitely possible to develop English language skills in a short time. However, some English learning materials come with selling points that are very ambitious. Some English language learners can learn 'quicker' from full immersion English courses. This involves studying English every day and often in a native English-speaking country. Others require a longer period of time because they have a full-time job or other commitments. From my experience as a teacher and as a language student, the best way to learn any subject is to set goals, and these goals need to be realistic. It means that we can improve in stages with smaller targets. If the targets are too high, we are going to be disappointed. If the targets are too low, we might get bored. Instead, we need targets that are challenging, but possible for us to achieve. Then, we can appreciate how much we have developed, and this makes us want to improve further. Don't simply worry about the destination and enjoy the journey. Here is the first target! Try out our English proficiency test to find out your English level. Alternatively, you can read our study targets for each English level and find study resources to help you develop your English skills.